Every Saturday, Bob Williams walks into a Dollar General store in Long Grove, Iowa, and buys a box of Hershey's milk chocolate bars. Williams hands two to the cashiers, a third to the person behind him in line and then sets off around town handing the rest out to anyone he sees. 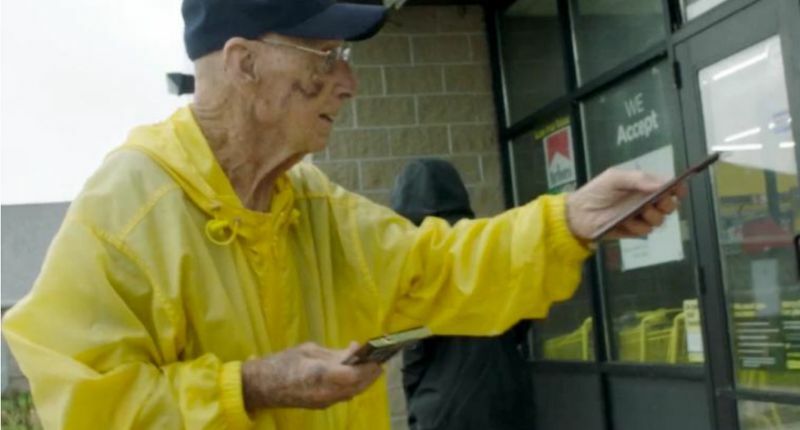 The World War II vet, retired teacher and high school football coach, 94, has been melting hearts this way around Long Grove, Iowa, for more than 10 years -- during which time he's given out nearly 6,000 chocolate bars. Williams is showing that sometimes taking candy from a stranger might be a good idea. And Hershey's, inspired by his example, is spotlighting him in a new marketing campaign. Bob Williams keeps hundreds of chocolate bars in his freezer so that he can give them out to people each day. Williams' random acts of kindness don't just start in the Dollar General checkout line. 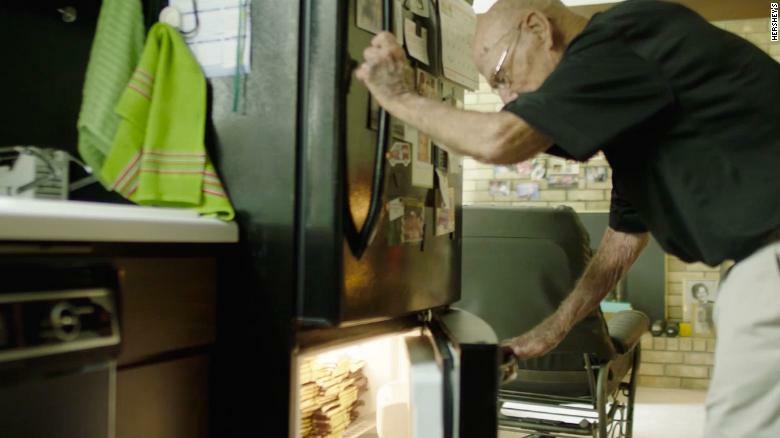 He keeps his own stash at home in a freezer, which is always stuffed to the top with hundreds of chocolate bars. Before leaving the house, he often takes a couple with him to hand out to folks around town. "It puts a smile on their face," Williams says in a video Hershey's made about his generous exploits. "It just makes me feel good." Jan Hartwig-Heggen, one of Williams' close friends, told CNN that the "Candy Man," often clad in a yellow slicker or the gear of his beloved Iowa Hawkeyes, is a popular guy around their town of 800 people. "People love to honk at him when they drive by." Over the years she estimates Williams has given her "two or three hundred" candy bars. Oftentimes, he leaves one at her front door. "That's his signature," she said. "You always know when Bob has been there."